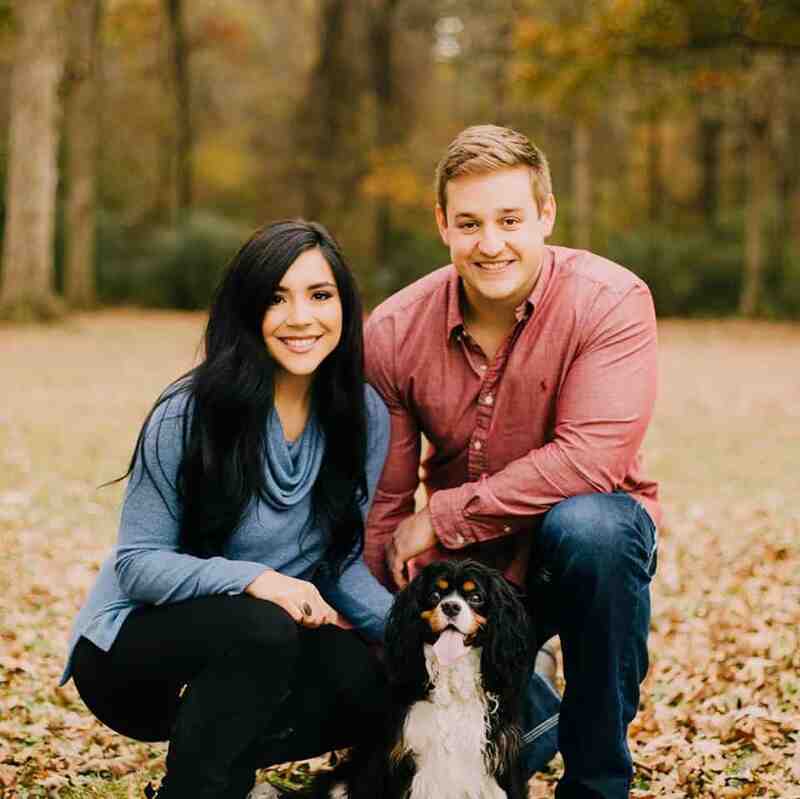 I’ve spoken at length about my love for all things chili, cheese, hot dogs, and tater tots across my blog. So it only makes sense that I brought them all together into one savory, cheesy tater tot casserole. And a healthy tater tot casserole, at that. It’s super easy to make. 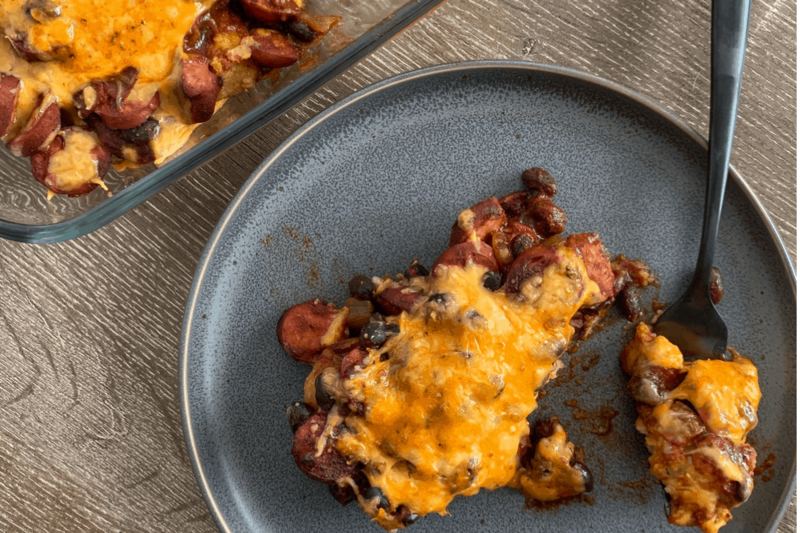 For the chili dog filling, it’s as simple as adding things to a skillet. And the tots portion is even easier since the recipe calls for frozen tots. Let’s quickly run through everything you’ll need and touch on potential modifications or substitutions. I honestly feel there’s enough flavor here without adding anything. But if Flavortown is your ultimate destination, I’ve included some spices like chili and garlic powder, cumin, black pepper, and a bit of ground mustard to the recipe card below. 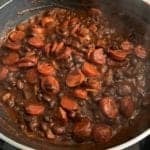 I’ll also add that you could skip the black beans, tomato sauce, and spices and use a can of your favorite chili instead. If you’re short on time and ingredients, Hormel’s Turkey Chili has phenomenal macros. You’ll need frozen tots of some kind. I chose frozen cauliflower tots from Green Giant, but you could definitely roll with frozen tater tots or even sweet potato tots. There’s not a huge difference in macros between cauliflower and tater tots, though the cauli tots are a bit lower fat. 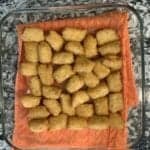 If you’d like to make your own tots, I have a solid recipe for high protein cauliflower tots you may want to check out. Or you could use something like roasted sweet potatoes like I used in my sweet potato nachos. 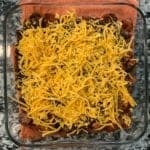 The recipe calls for fat free shredded cheddar. I find this at Walmart and occasionally at Kroger, but it can be a bit harder to find. If you have trouble, you can just use a reduced fat version. 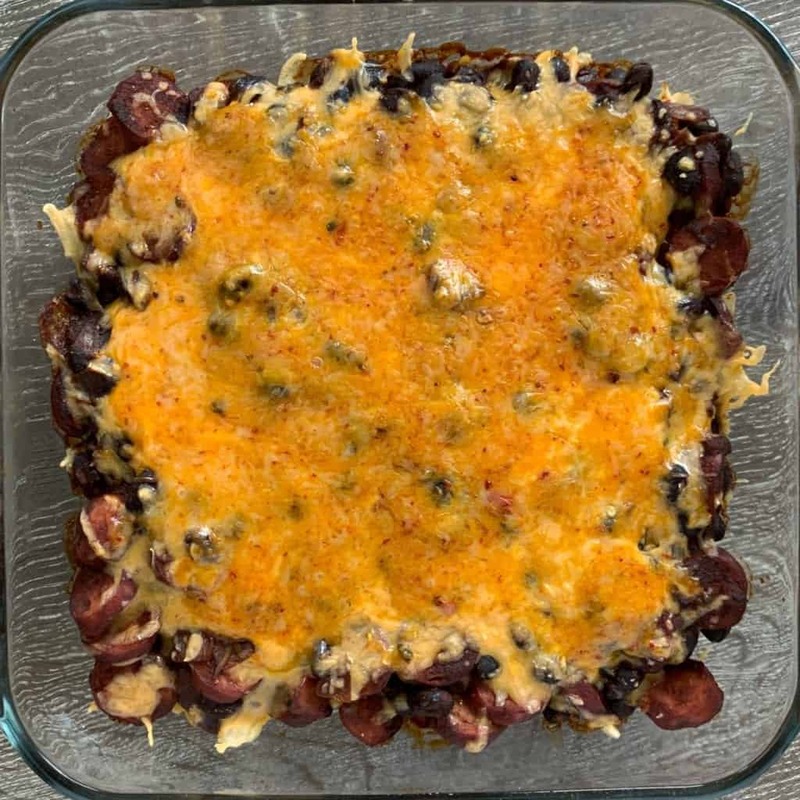 For comparison, the fat free cheddar has 180 calories, 36 grams of protein, 8 grams of carbs, and 0 grams of fat in the entire recipe. A reduced fat cheddar would have 360 calories, 28 grams of protein, 4 grams of carbs, and 24 grams of fat. That may seem like a big difference but when you split it across six servings, that’s only a 30-calorie difference per serving. Not to mention, you could get away with using less cheese with a reduced fat or full fat cheese. All right, that’s it for ingredients. The rest of the recipe is simple assembly. You’ll find the full recipe card below. Sharing definitely accelerates the creation of new recipes as the blog grows. 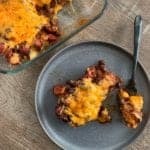 If you try this healthy tater tot casserole, I’d love to see it. 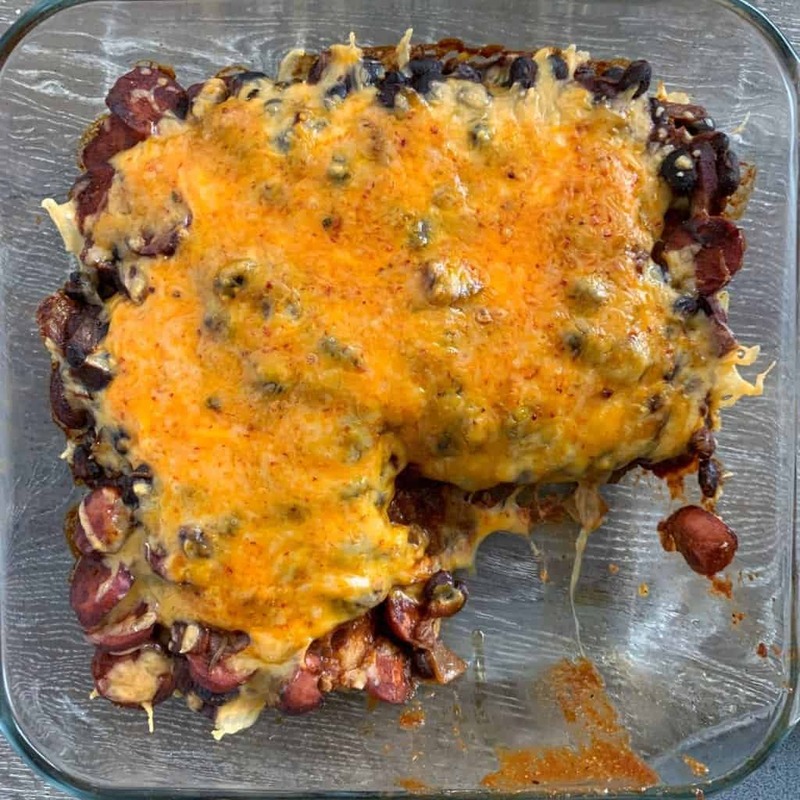 Take a pic and tag me on Instagram @mason_woodruff, join my free Facebook group and share it with the Proton Party, or pin this recipe to Pinterest. 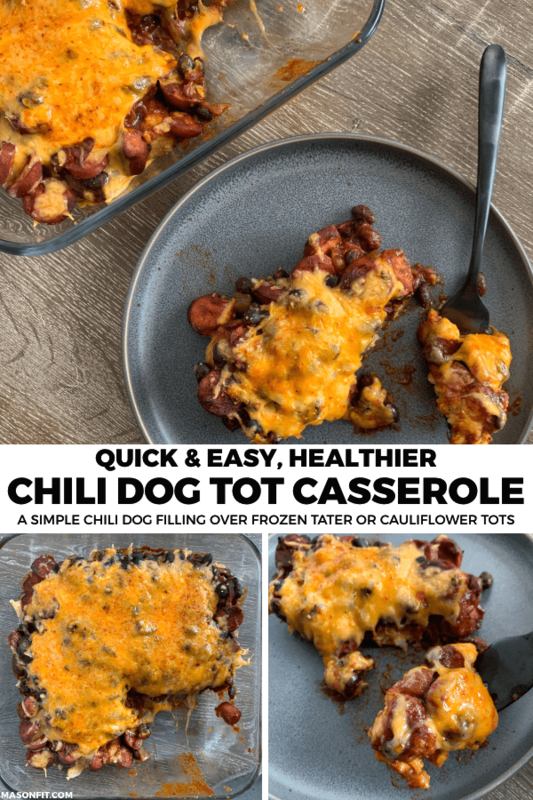 Frozen tots smothered with a simple, low calorie chili dog filling and shredded cheese. Heat a large skillet over medium-high heat and add the chopped onion. Cook until the onion begins to soften. 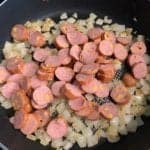 While the onion cooks, slice the sausages or hot dogs into bite size pieces. 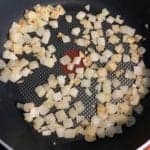 Add them to the skillet and cook for 4-5 minutes, stirring occasionally. 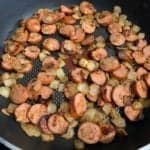 When the sausages have browned, add the can of beans, tomato sauce, and spices to the skillet. Bring the mixture to a boil before reducing the heat to simmer until the tots are done. If you'd like to know the weight of each serving, weigh the baking dish before starting. Weigh the entire recipe after cooking and subtract weight of the baking dish from the total weight. Divide that weight by six for the weight of each serving. You can also split this recipe into any number of servings. Six is just a guideline. You could replace the chili mixture for a can of turkey chili or your favorite canned chili without any issues. If you have trouble finding fat free cheddar, use reduced fat. Reduced fat only adds 30 calories per serving. If you wanted an even more macro friendly recipe for tots, check out my high protein cauliflower tots recipe. 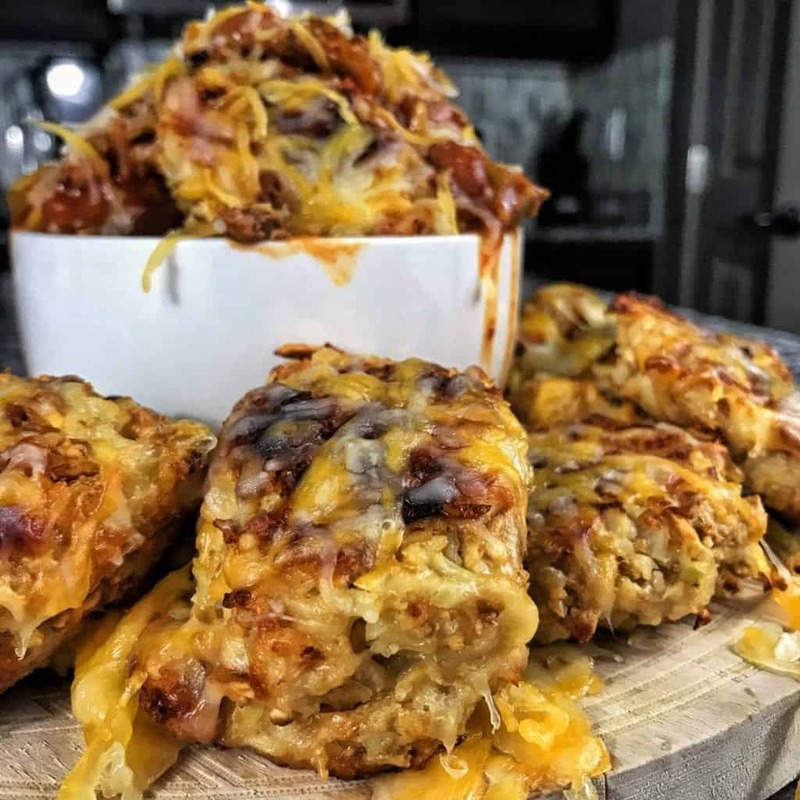 My loaded air fried chicken and potatoes recipe is ridiculously easy to make and macro friendly. And don’t let air fried deter you. You could make it in the oven. 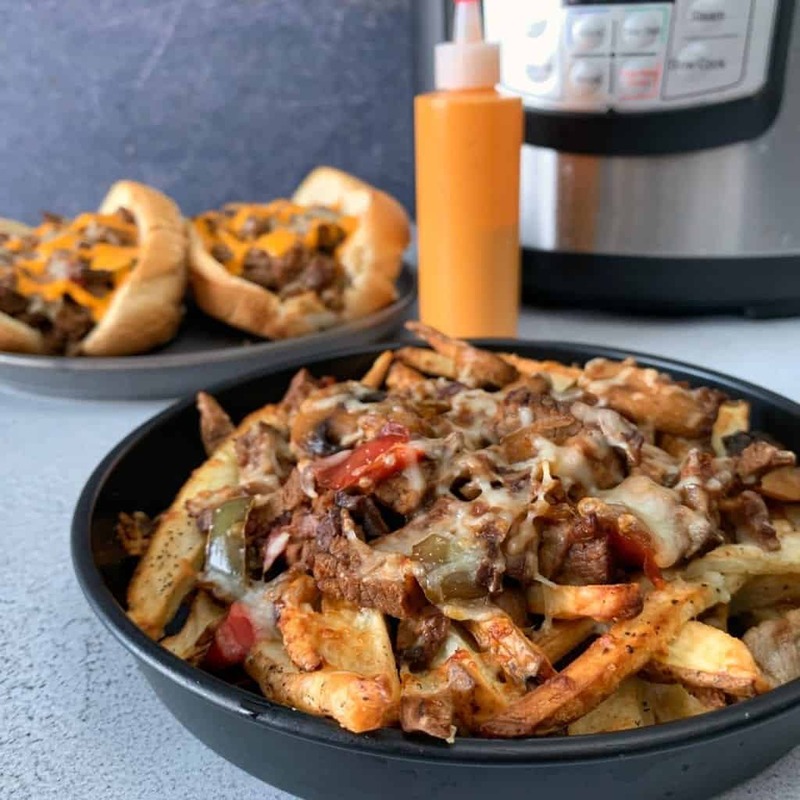 Speaking of kitchen tools, my Instant Pot Cheesesteak makes great cheese fries, sandwiches, and more. This rules. Easy and SO tasty! I usually don’t dig the texture of FF cheddar, but it melts right into this dish and reheats perfectly, too. Another winner! This recipe brought out my inner childhood!! Mason’s recipes are so awesome and so very easy. 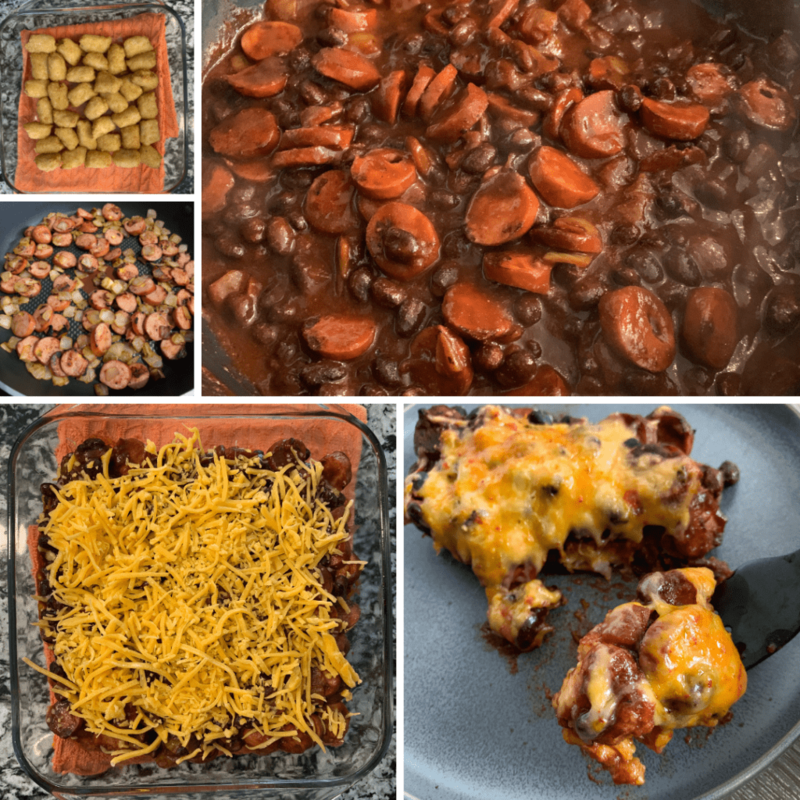 I made my “chili” in the instant pot and then put together my meal everyday using the cauliflower tots and toasted it all up in my toaster oven. So easy to make it fit into your everyday meal plan. Thanks Mason for such amazing recipes. Really, really tasty recipe. Captures that chili cheese dog flavor without the unnecessary calories from the bun. 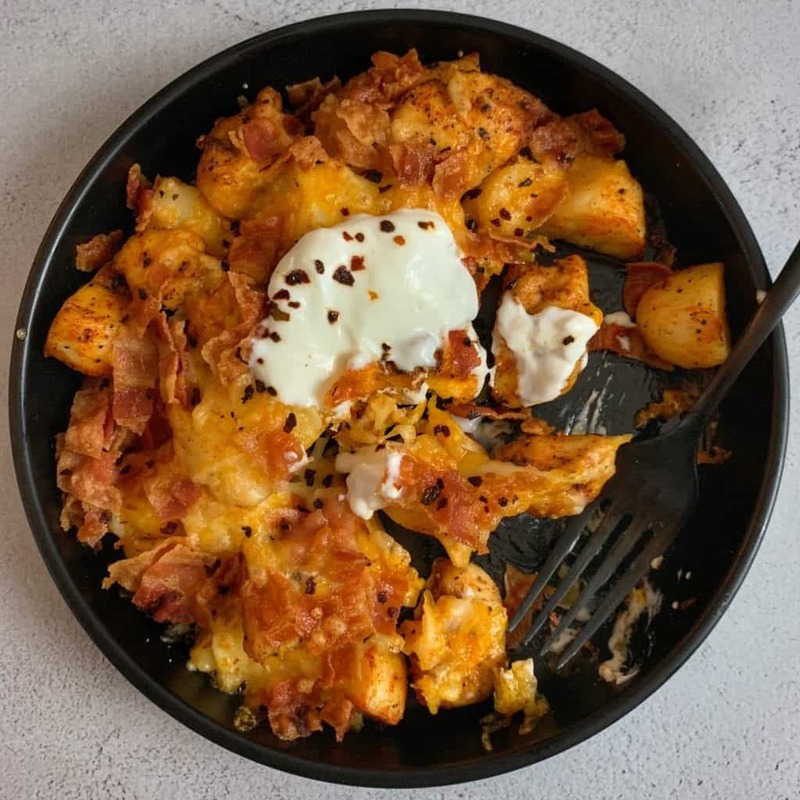 When I made this, I substituted frozen hash browns for the tots, which changed the complexion a bit, but it was still delicious! Amazing. Used the cauliflower tots and followed the recipe. I should have added some salt to the tots prior to the chili but that’s alright. I also broiled the tots for 2 minutes prior to adding the chili to let the tots get crispy.